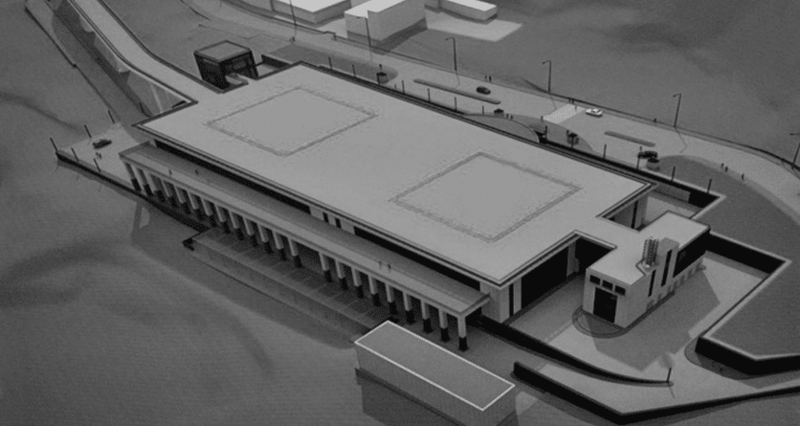 “Parkovyi” started to commercial exploitation in 2013 and is the largest and most technical data center in Ukraine. The data center was developed and built by the company Schneider Electric in accordance with the highest international standards, including best practices from leading European and world countries. Has partners in the European Union, which expands the ability of clients to develop and protect their own business. The Datacenter “Parkovyi” is able to provide the appropriate level of service provision to enterprises and institutions that are critical for the continuity of services and access to their resources: banking and financial institutions, processing centers, brokerage companies and stock exchanges, online sales services, government Bodies and power structures, logistics and production enterprises, etc. 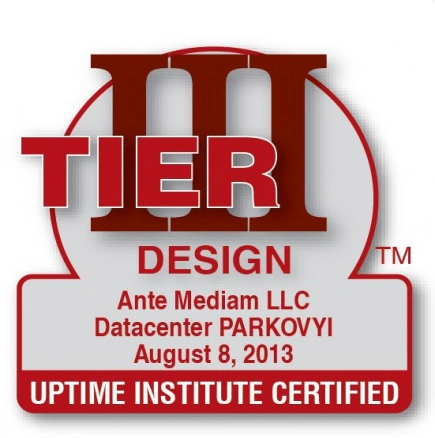 The data center was originally built in accordance with the documentation that was specifically designed and meets the requirements of a high level of reliability, as evidenced by the certificate from the Uptime Institute. This is a separate building, remote from industrial production. “Parkovyi” uses solutions from leading world manufacturers in this segment: Schneider Electric, APC, Uniflair, VESDA, Cisco Systems, EMCDEll, NetApp and others. The total area of the Datacenter “Parkovyi” is 2715 sq.m. Of these, 930 sq.m. Occupy seventeen machine halls, capable of accommodating 400 cases with customer equipment. Thirteen shielded halls, with a total area of 480 sq.m., have additional protection against external influences of electric, magnetic and electromagnetic fields. The data center is connected to two independent sources of power supply of 4 MW: main and backup. It is possible to provide cabinets for placing equipment of especially high power. Energy security is ensured by duplication of power distribution units 2N and autonomous diesel generators (3 + 1) * 1,7 MW. Server premises, communication and power supply facilities are equipped according to the principle of “building in the building”. Diesel generators are located in a separate building. Load capacity of the floor is 1500 kg / sq. M. Special refractory constructions guarantee that the client systems will not suffer from high temperature. 2 separate entrances, parking for staff and guests. The data center has 2 contours of physical protection (external and internal) and video surveillance around the perimeter. A special mode of admission to the machine rooms of the data center excludes the possibility of unauthorized physical access to the equipment of the clients. 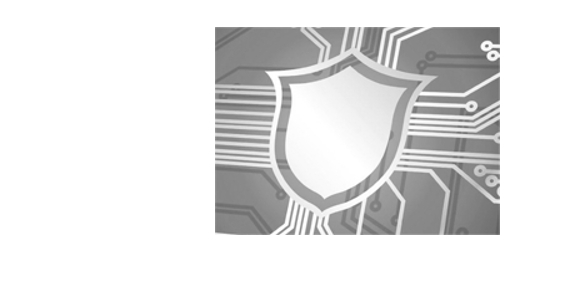 Information security management systems meet the international standard ISO / IEC 27001. The high professional level of DC employees ensures the provision of the service of guaranteed quality. A combination of staff qualifications, cutting-edge technology and a personalized approach to each client creates the conditions for the comfort of your business in the modern digital world and its sustainable development. The most important parameter for a commercial data center is the Energy Efficiency Index (PUE), which defines the ratio of total power consumption to the needs of IT equipment. Payments for electricity represent a lion’s share of the cost of commercial data center services, therefore, the smaller the PUE, the better for the client, therefore, more modern energy-saving technologies are involved in the infrastructure systems. In world practice, the optimal average annual PUE is considered to be 1.3-1.35 – this is exactly the level provided by the Datacenter “Parkovyi”. The average indicator of the market of Ukrainian commercial data centers is 1.6. Physically, the Datacenter “Parkovyi” is located in the very center of Kiev, which creates favorable conditions for the establishment of communication lines. The distance to the most remote point of the city is no more than 17 km. The successful location of the complex will allow the customer to save significantly on the organization of transport channels. Datacenter “Parkovyi” is designed for a wide range of clients who need high reliability and quality of service provision. On the base of the complex there are separate premises for a special category of consumers – primarily state bodies and financial institutions – whose activities provide for special conditions for storage of information and placement of IT equipment. All necessary shielding and other security measures are performed in the indicated premises, as evidenced by a certificate of their compliance with the requirements of the NBU Resolution No. 243 of June 4, 2007, and requirements the SSSI. Datacenter “Parkovyi” has its own backbone fiber optic network, which provides customers with the organization of data channels with any necessary bandwidth – both for internal use and for access to the Internet. Both types of channels are independent and in no way intersect. The data center network is connected to the main national and international traffic exchange points.